Choosing a wardrobe that all works together. 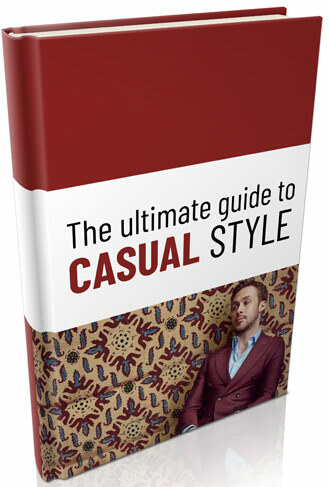 One of the key ideas of the Style System is the idea of the interchangeable wardrobe. Simply put, this means a collection of clothes that work well with one another. It’s moving away from the idea of owning specific outfits and toward a look that mixes and matches. You may be closer to owning an interchangeable wardrobe than you think, depending on what you have in the closet right now. Even old clothes — worn, patched, or out of style — can end up serving a useful wardrobe purpose if they’re combined with the right things. Knowing what you already have to work with can be a good starting point for figuring out what you need to buy, and what styles will work for you. Start with the most ruthless part: culling the wardrobe of dead weight. 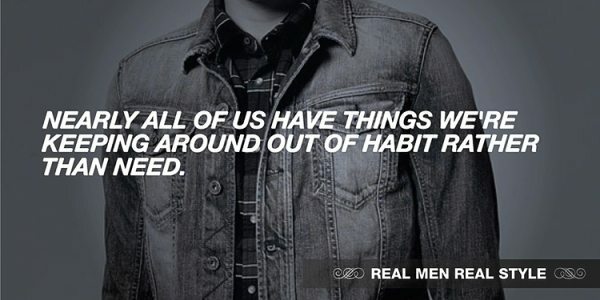 Nearly all of us have things we’re keeping around out of habit rather than need. Old suits or coats that don’t fit, T-shirts with huge holes in them, mismatched socks — all of those can go. It doesn’t seem like a huge step, but cleaning out the clutter is a big help in terms of both physical and psychological space. Practically, it opens up room for new clothing, and on a mental level it pares away bad options that you’re wasting brainpower considering and rejecting each time you check the closet. · Bad Fit: Anything that’s too tight or too lose, and can’t be adjusted to a more appropriate fit. · Worn Out: A ratty T-shirt or two for yardwork or the gym is worth having around, but any nicer clothes that are fraying at the edges or sporting holes should be set aside. · Over-represented: Thin the ranks of anything that’s taking over your whole wardrobe. If you have a couple black turtlenecks, great; if you have a dozen of them, throw some out unless you’re Steve Jobs. · Hopelessly Dated: Anything so dated that it’s only a costume piece can go. Be forgiving here, though — many out-of-style items come back into style, or can be repurposed as a more casual look, so only cull the most egregiously “period” pieces. · Downright Useless: You know you own them — the mismatched socks, the belts with the broken buckles; the winter coats with the dead stuffing. 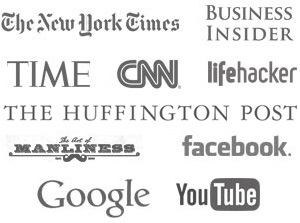 Stop saving them as “back-ups” or in the hopes that you’ll re-use them and just pitch them. Sometimes pieces of clothing have fallen out of use because they don’t quite meet your current needs, or aren’t in perfect condition, but that doesn’t mean they’re automatically ready for the trash. 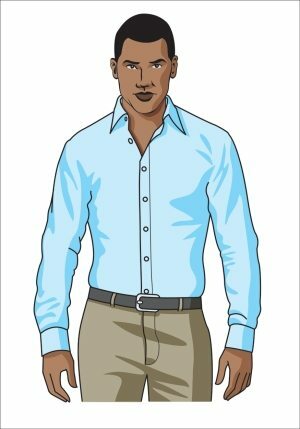 Take the time to identify what your best clothing pieces are, whether you wear them regularly or not. The sturdy workshirt you wear every week qualifies, but so does a good dark suit that you wear maybe once a year, so long as it’s in good shape and fits well. Give these a cleaning and repair if they need it and keep them in circulation. They’re your best options right now, and it may be a while before anything replaces them as such. Even an old jacket or shirt can look great, so long as it’s well-fitted and any minor wear-and-tear is tidied up. A few pieces of clothing are truly hopeless: polyester lounge suits, fringed bell-bottom jeans; knit sweaters with Christmas patterns. Most other garments can actually be repurposed, if it’s done carefully. All that means is taking old items that you wouldn’t normally wear — a suit that’s too worn at the elbows and knees to be business-appropriate, say, or a T-shirt with a band logo that you still like but that hasn’t played for years — and putting it to a more casual or creative use. Suit “separates,” for example (the individual pieces that make up a suit) can be worn long after the other pieces have fallen apart or stopped fitting. Wear the jacket with jeans and colored sneakers and it’s suddenly a fashion statement, rather than just a mismatched suit jacket. Mix, match, repair, and patch as much as needed to keep things in circulation. Every once and a while you will come across an item that’s just not useful any more — but most of the time, if you pair it with something unusual or do some decorative patchwork, it can become a unique item for your social wardrobe, even when it’s long past its business-wear prime. Wringing every bit of usefulness out of your existing wardrobe is good fashion practice and a nice money-saver in the bargain. But it’s unlikely to actually be enough for your needs, and that’s where the core wardrobe comes into play. Your “core wardrobe” is the foundation on which you build your personal style. It should be sturdy, dependable, and versatile, and the more items you have in it the easier your dressing will be. 1. 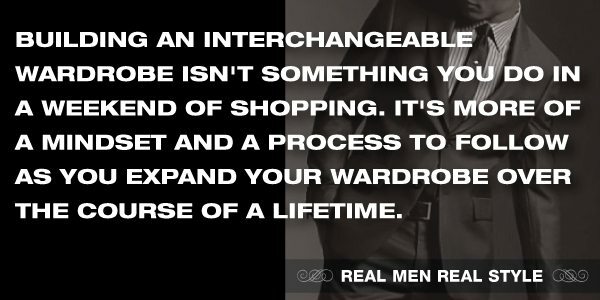 Falls within the realm of “normal, everyday” menswear — i.e., collared shirts, suits and jackets, etc. 2. Is simple enough in style to go with outfits, rather than defining them. 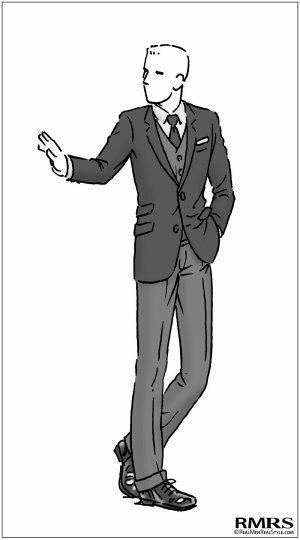 A good charcoal gray suit, for example, would be a core item — it’s simple, straightforward, and something you’d expect to see on any number of men. The exact same suit in burgundy red wouldn’t be a core item, because its style is so unusual it defines every outfit it’s a part of. o Dark business suits — gray charcoal, navy blue, etc. o Casual sports jackets — tweed, corduroy, etc. o Unstructured modern jackets — light cotton, fine wool, etc. o Canvas sneakers o Loafers, slip-ons, sandals, etc. 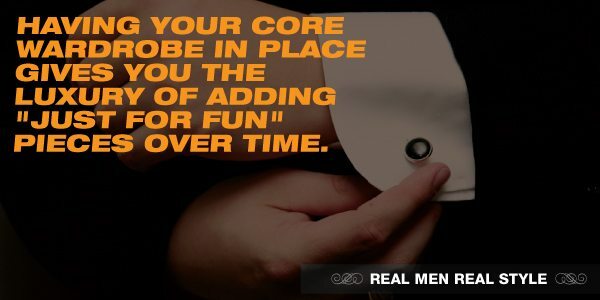 Sundries like socks, underwear, and undershirts are also “core” items in that every man should own them, but play less of a role in wardrobe planning. Pick those according to your own tastes — most people won’t be seeing them, with the possible exception of your socks. These are the items you want to own first. The more of them you own, the bigger and more interchangeable your wardrobe is becoming, as nearly all of these can be combined with one another in multiple ways. When you first start building your core you want to keep it simple. Go for pieces that look like they could be worn anywhere. Simple, timeless designs — things that look like your father could have worn it, or his father — aren’t as unique as the latest fashion trend, but you can build a lot more outfits off of them. · traditional materials like worsted wool, flannel, tweed, etc. Something that meets all those criteria is something you can probably wear with lots of other classic items. You don’t have to have bought your suit and your shirt from the same brand, or even the same store, for them to look good together, so long as both are in a simple and timeless style. It’s only when you start buying from very image-specific designers with contemporary styles that it gets hard to match. Stay away from outfits that are designed as complete wholes, from the shoes to the shirt to the collar stays, and buy separate, timeless pieces that you’ll be able to mix and match for years instead. You can do a surprising amount of shopping on the cheap, if you’re willing to wait for sales or hunt for the perfect thrift-store loot. It’s a good way to build a wardrobe over time without breaking the bank. That said, it’s worth laying out a little extra money up front for the core pieces that you’re going to wear the most. They’re going to be the bulk of your “look” as other people perceive it — go ahead and get the best clothes you can. Different men will have different key pieces to invest in. A businessman who wears a suit and tie to work every day will obviously need three or four high-quality suits, whereas a schoolteacher might prefer to spend on a couple of good sports jackets and some tailored shirts and trousers to go under them. · Fit — tailored if at all possible, and at the very least adjusted to your measurements b a competent tailor. · Fabric — weight and texture will vary depending on the kind of cloth, but it should drape smoothly and have an even handfeel, with no irregularities or knots in the weave (some fabrics, like tweed, will obviously not be smooth, but they should still be consistent in their roughness). · Style — a classic, timeless style that works well with your other wardrobe pieces. Those are worth paying good money for — and you should be willing to, on at least a few of your most commonly-worn core pieces. If the “core” pieces sound a little boring, don’t be fooled. It’s good to have a core wardrobe that’s a little on the conservative side, but only because you’re going to expand it and make it into your own style with the smaller, accent pieces. This is where personal taste really comes into play. You build a core wardrobe that covers your “needs” — clothes that work for your professional life and your fundamental role as a well-dressed man. Then you add your “wants” — the clothes that appeal to you personally, and that send the message you want to your viewers. Obviously, it helps to have some idea what you want to look like before you start buying clothes. Take some time to think about influences and things you want to project. Are you looking for a cowboy feel? A thrift store hipster look? A “power” attitude for business deals? Each of those comes with its own set of accents and styles. Bigger buckles and decorated leather shoes or boots say “cowboy,” while bright, bold neckties and tight-fitted suits are for the power-exec look. You don’t necessarily even need a stereotype or specific sort of demographic look. Your style wants could be as simple as “I like green things.” Buy yourself some green accents and you’re set. But this is the part where you get to set your own goals and start buying clothes to achieve them, building your core wardrobe into something much more specific and personalized. Outerwear of all sorts can also serve as an accessory or accent piece, especially hats — a fine hat can make an outfit in and of itself, though of course it has to be removed in many circumstances. These are the ways by which you turn a solid core wardrobe into your own unique look, so go ahead and take advantage of all the options. There’s plenty of variety out there for men who are willing to do a little shopping. Having your core wardrobe in place gives you the luxury of adding “just for fun” pieces over time. You might be struck by an odd plaid jacket at a rummage sale, or by the latest thing off a top designer’s line. Even if it’s something that’s less versatile, you can go ahead and indulge, as long as you have a good core to back it up. A few pieces will work with it, and you’ll get an outfit or two that you really enjoy wearing. This final step is essentially lifelong — you can always pick up new pieces and add them to the wardrobe. Keep an eye out for good sales or deals, for items that appeal to your personal tastes, and ideally for the intersection of the two, and strike whenever you see a good buy. 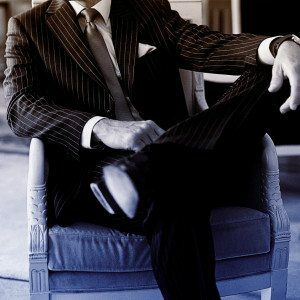 Between your ongoing purchases and your solid core wardrobe, you should never run into trouble keeping your clothing options unique, versatile, and above all interchangeable.